As cut-down day in the National Football League approached, most of the discussion in Buffalo seemed to be about A.J. McCarron. Would the Bills cut the veteran quarterback, or would they keep him as insurance for their other two young QBs, Nathan Peterman and Josh Allen? It turns out that the Bills had a third option in mind. They traded him to the Oakland Raiders on Saturday, according to multiple reports. 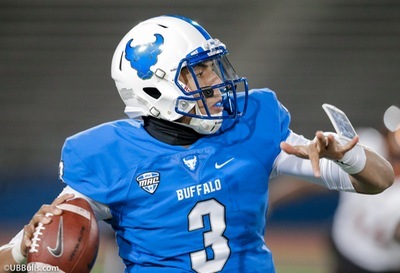 Buffalo will receive a fifth-round draft pick in 2019. McCarron had joined the Bills in the offseason. He was signed to a two-year, $10 million deal that included a $4 million signing bonus. At least he’s going out in style. McCarron led the Bills to a memorable (by August standards) comeback win over the Chicago Bteds Thursday night in the final preseason game. The good feelings only lasted two days. Now everyone will have to wait to see what happens next. Buffalo still has to pick an opening day starter. Peterman has an extra year’s experience, and the Bills face several tough defensive lines early in the season that might prompt the team to keep Allen safely on the sidelines for now. But anything is possible. And let’s not discount the possibility of a transition to come involving a quarterback. Buffalo could still add a veteran QB as a free agent, either on waivers in the next couple of days. And if someone is injured, the Bills certainly could sign someone off the street as a backup on a short-term basis. Meanwhile, the Bills cut 34 players. The most interesting name on that list might have been Corey Coleman. The Coleman release raised a few eyebrows, based on the Bills trade for him a few weeks ago. They gave up a 2020 seventh round pick to take a flyer on the former #1 pick of the Browns. But Coleman never made any real impact in his limited time in Buffalo, and there were reports of a less than stellar attitude. If Coleman was to make the team, and not be a top three receiver, he would need to be a key member of the special teams. That didn’t appear to part of his role. His electric speed was never really on display, so it’s no surprise he was cut. It was a good risk for the Bills, to see if Coleman could upgrade a weak receiver group. Losing a seventh round pick is a worthy gamble. 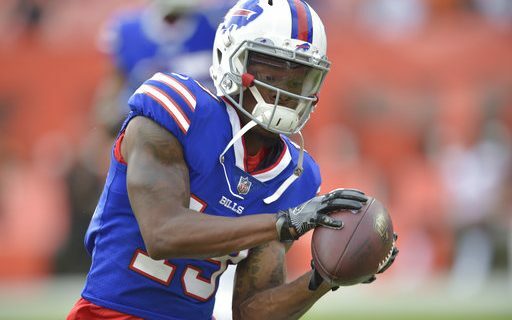 Receivers probably were of the most interest to the Bills’ fan. The one familiar name on the list was Nick O’Leary, a veteran tight end for the last couple of years. Wide receivers Austin Proehl and Rod Streater also are headed home – maybe. The same principle that affects quarterbacks also applies to the rest of the roster. The Bills coaching staff figures to be checking the waiver wire to look for useful players at a number of position. Therefore, none of the players who might have been on the “bubble” can rest for a while.